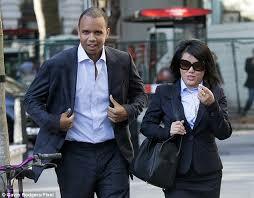 Were Phil Ivey and Kelly Sun Alone? We've all heard countless times of the baccarat edge-sorting exploits of Phil Ivey and Kelly Sun, how they edge-sorted their way to tens of millions of dollars in multi-casinos, most notably Crockfords in London and the Borgata in Atlantic City, only to have to give most of their winnings back because courts in both the UK and US ruled they won the money unfairly without saying it was downright cheating. But yesterday I received an email that puts a new light on the whole thing. I CANNOT verify the authenticity of this but the info comes from someone involved in casino surveillance for many years whom I find very credible based on info he has given me in the past. According to him, a casino that was victimized by edge-sorting has video footage of an Asian team edge-sorting in exactly the same manner as Ivey and Sun did, that is to say they instructed the dealers to turn the cards after they were dealt and lying face down on the table so they could read the sorts and then make their bets. And those bets were for very large stakes. And neither Ivey nor Sun is seen in the video! Also, it is not clear to me if this particular casino that was victimized by edge-sorting was ever victimized by Sun and Ivey. I was told that the video of the unidentified Asians edge-sorting is from the same time period (2012) during which Ivey and Sun hit Crockfords. So what does this mean and is it important? Well, I do think it's important to know how widespread this scam really was, but what about the fact, if it is one, that there is evidence of people edge-sorting for large sums of money who are not named Phil Ivey or Kelly Sun? Now it is perfectly clear that Sun had edge-sorted both by herself and with partners before she met up with Ivey and included him in the scam, and these people could have gone off on their own. But whatever the case, even though edge-sorting was known by several people in game protection and surveillance long before even Sun showed up, no one has spoken of having video evidence of any major edge-sorting wins not involving the dynamic duo who made edge-sorting a household word in casino households all over the world. All in all, and again I stress IF this is true, several more casinos besides the Borgata and Crockfords, may have been beaten for tens of millions around the world and kept quiet for one reason or another. Which begs another question or two: If a casino has this video evidence of non-Ivey/Sun big baccarat edge-sorting wins, how come it has not been made public by that casino and with whom have they shared this evidence? Or maybe some of you out there already know about this and it is not as big a deal as I think it is?? So if anyone out there has any info on this that they would like to share, please do!